Just a short stroll to Palm Beach, this much loved property offers a beautifully appointed and tranquil base to enjoy this wonderful Island from. 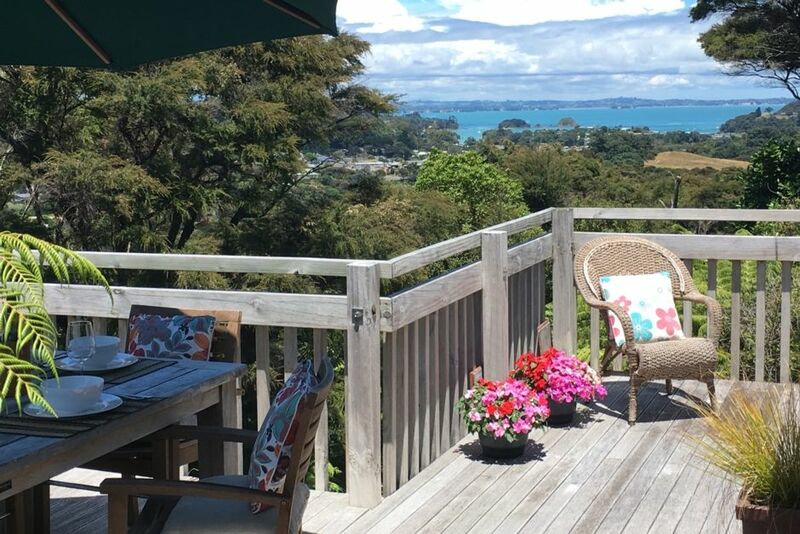 Boasting stunning views of Putiki Bay and abundant native bush, Ashe Lodge offers complete privacy. Crafted from stunning Macrocarpa, Ashe Lodge was designed and built with meticulous care by a local Waiheke boat builder. For your comfort the interior is presented with as much care providing a high standard of fittings throughout. Outside the native and tropical gardens have been nurtured over the years to offer privacy and enjoyment. Great coffee and wonderful vineyards are in all directions on this lovely Island as well as Golf and all the water sports you may desire. For those more inclined toward solitude there's the wonderful tranquility of the covered veranda or the sunny deck to enjoy all to yourself. Lovely clean property with great views, native bush and birds and would love to stay here again.